Our highly recommended company specialise in a complete service for your roof or guttering problems. Whether it be a new roof, a few roof tiles that need replacing or a gutter leaking, you can rely on us to fix the problem to the highest standard. We undertake gutter cleaning and guttering repairs and can have your gutters back to full working order quickly and without fuss. Roof repairs are hassle free with our highly qualified team. With over 30 years experience no job is too big or small and we always leave our customers happy. 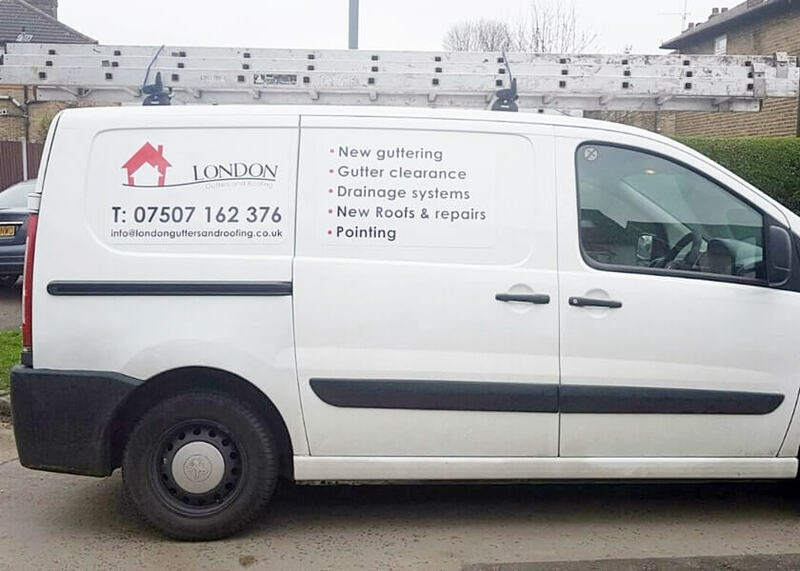 We won't send out contractors - you will always see a member of the London Gutters and Roofing team. Tony provided a great service installing lead flashing and replacing the broken gutters on my house. He was reliable, punctual and responsive from the outset. Not only is he a trustworthy, polite and professional tradesman, but he also provided the best value for money by far (when compared with two other tradesmen for the same job). Excellent standard of work and highly recommended! Tony was professional, punctual and provided an efficient service. I would highly recommend. Excellent and very professional service. Genuine unpressured workmanship. Absolutely brilliant and very delightful fellow. A breath of fresh air compared to most tradesman. Will definitely recommend over and over again. Tony was incredibly responsive when I first requested the quote. He kept me informed, was timely, friendly and did a great job with minimal disruption. Really impressed! Thank you Tony. All work has been excellent. Great job and the price was fair. Tony Bainborough cleaned my gutters and repaired a leaking joint. He was efficient, professional, knowledgeable and helpful. Tony is that rare sort of tradesman these days. Gave me a good quote and reduced it when he found he could do it for less. The work was to a very high standard and quickly completed despite in current weather. Highly recommended.